Home>Programs>Commercial Truck Driving>What is it Like to Drive a Truck for a Living? Someone once said that a person could get more satisfaction from being a first-rate trucker than they can from being a tenth-rate executive. Maybe it’s because trucking isn’t just a career, it’s a way of life. The industry’s history dates back to before the 1930s. In 1933, the American Trucking Associations (ATA) formed to represent drivers from coast to coast who made their livelihoods by driving the country, delivering the goods that make the United States such a great place to live. And the job is just as important to the country today as it was back then. These days, there are approximately 3.5 million truck drivers working in the United States, according to data released by the ATA. They drive more than 450 billion miles a year, haul more than 10.5 billion tons of freight, and help deliver nearly $740 billion into the nation’s economy. But truckers aren’t the type to take credit for all they help the country accomplish. Instead, they keep their heads down, their eyes up, and just do their jobs, driving the freeways, highways, and city streets to deliver the American dream to people in every community across the country. And truck drivers are in demand, according to the U.S. Bureau of Labor Statistics. It’s also a pretty interesting job. If you’re looking for a career that lets you see the country, play an important role in the country’s economy, and maybe even be your own boss, take a look at what a day in the life of a truck driver looks like–and how you can become one. Over-the-road trucking is a highly regulated industry, so drivers have to take at least a 10 hour break between shifts. Shifts vary, but many drivers start their days early–between 5 and 6 a.m.–with breakfast. Some are at home, some are on the road, sleeping in their cabs. After breakfast, it’s time to inspect the truck, check messages, and do the logs. Before they hit the road, they’ll take a look at the weather, road conditions, and any safety alerts that need to be noted. Unloading live, which involves unloading freight from a trailer before moving on to the next stop. Many truckers are paid by the mile, so sitting around waiting to latch a “live load” can be a bit frustrating. 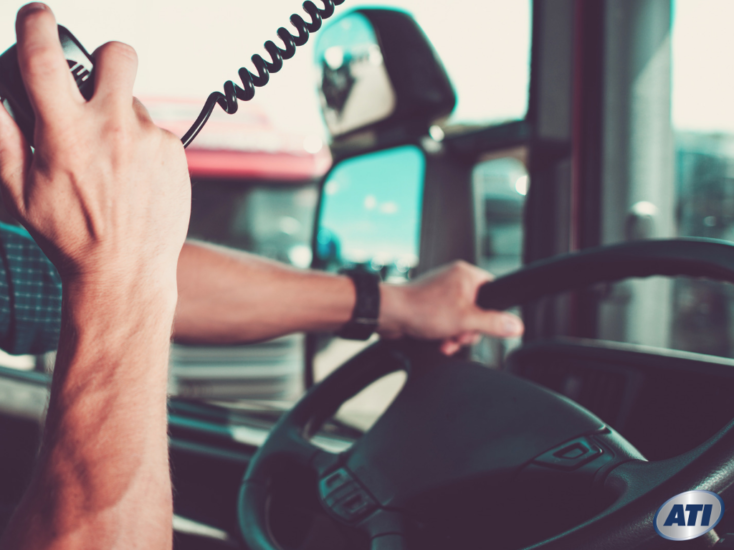 However, technology has changed the game quite a bit, and many trucking companies have become more adept at being more efficient with their scheduling. Once a truck driver is on the road, the job really begins–because there’s a lot to think about. Safety is always a top priority. Truck drivers have to look out for other drivers, dangerous road conditions, and the weather. They have to constantly keep an eye on their gauges to make sure the big rig is functioning properly. And they have to adhere to federal safety guidelines. As the day gets longer, truckers start paying closer attention to the Department of Transportation time clock. This is important because driving past the hours-of-service limits can result in expensive penalties. A day comes to a close in one of two ways: Either the clock runs out or the driver reaches the destination. Either way, after a day on the road, it’s time to get something to eat, shower, shut down, and call it a night. Today’s 18-wheelers are high-tech, comfortable, and equipped with a long list of creature comforts. If you have one with a sleeper cab, you probably also have satellite TV, internet, and just about everything you need to relax for your mandated 10 hours before hitting the road again. Of course, truckers also know all about the best roadside restaurants, places to park, and sites to see. If you’re feeling adventurous, you’ll also have something cool to eat, see, and do. Truck driving is one of the last of the romantic American professions. It allows you to see the country, put bread on the table, and largely live life on your own terms. Of course, getting there takes some skill, knowledge, and experience–all of which you can get from a formal education. 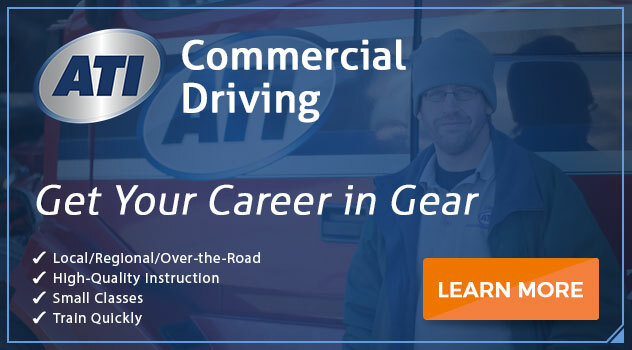 If you’d like to explore this exciting and growing profession, connect with the Advanced Technology Institute today. Ask about how you learn everything you need to know to become a trucker. Next PostIs Welding a Good Career For Someone Who Wants to Work with Their Hands?